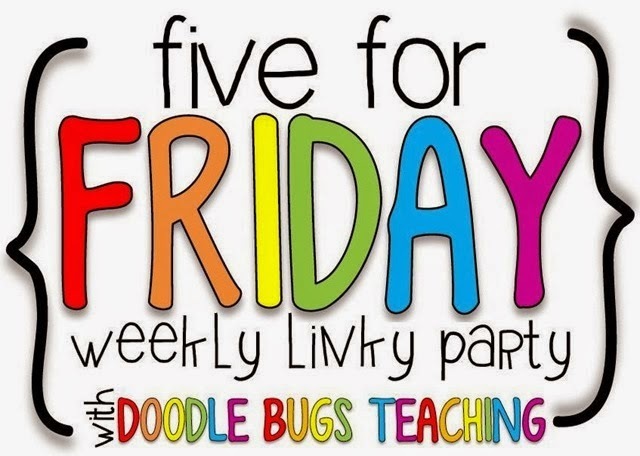 Thanks to Kacey at Doodle Bugs Teaching for the Five for Friday linky. I am using it a little bit differently today. I have one great resource to share with any teacher who teaches writing, but I'll share five favorites from it. There are soooo many blogs out there. Some we only need to see occasionally. Some we follow because we get things– admit it, sometimes the freebie is worth it. And some we follow because we really learn from what they share. 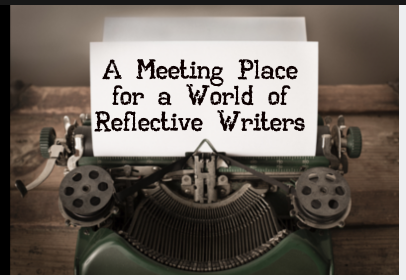 One of the most valuable blogs for me is Two Writing Teachers. And if you teach writing, you need to know about this resource, too. This blog started out as the blog of just two teachers, but has grown to a team which includes Stacey Shubitz, Anna Gratz Cockerille, Betsy Hubbard, Beth Moore, Dana Murphy, and Tara Smith. I follow them through email so that I get fast notification of their almost daily blog posts. And I never fail to read them. It's like having a chat with a good teacher friend who is a very good teacher– the spark that keeps my teaching flame burning. They post on a wide variety of topics under the broad heading of writing. It is very much based on Lucy Calkins and Teachers College work, but of course, that work is continually evolving and growing. Here are some of the posts I most value, but to get this down to a sample of just five was pretty much impossible and there is so. much. more. 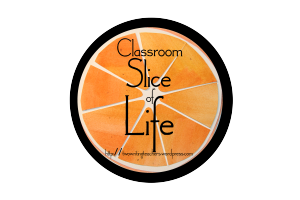 Something else that I must mention about Two Writing Teachers is their Slice of Life Story Challenge. Every Tuesday Two Writing Teachers invite you to write on your blog about your life, then post it within their Tuesday "Call for Slices" post. All the details can be found by clicking on the orange logo. Participating with Slice of Life is a good way to prompt yourself to write and share publicly... well, I THINK it can be a good way to prompt yourself to write. This is another area where I need a kick in the pants, and even more so, a good dose of courage. I write and post on my blog pretty regularly, but this seems bigger, more personal perhaps. And more of a commitment. So... soon. Maybe soon. Are there any other teacher bloggers out there who would like to take up the writing challenge with me? I hope you will check out Two Writing Teachers and let me know what you find in the comment section below. I have certainly not been to all their posts and would love to hear what ideas resonate with your writing instruction. Well, there you have it for this Friday post. I've been writing as I continue to clean up from yesterday, and now I'm off to visit just one or two stores on this Black Friday shopping day. Hoping the crowds will soon head home for dinner ;) And then we're gonna start the Christmas house trimming. Click on back to Five for Friday to see what others are up to. What a wonderful compliment. Thanks so much for posting and sharing what you have learned with your readers. We are all teachers with the same goal, sharing out learning with a community. Thanks for being a part of the good work.